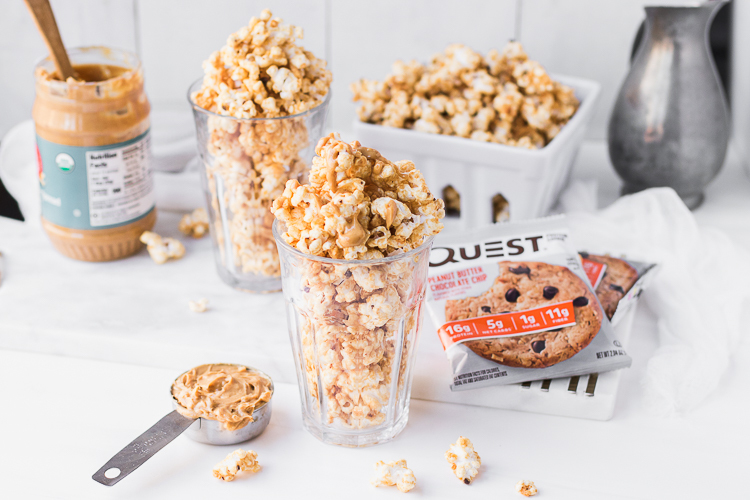 TODAY OUR LOVELY VOLUNTEER IS THE BLUEBERRY MUFFIN QUEST BAR. WE’RE GOING TO START THE SHOW BY SAWING IT IN HALF. NEXT, WE’LL BLUEBERRY IT ALIVE. THEN WE SUBJECT IT TO EXTREME TEMPERATURE. AND, VOILA! 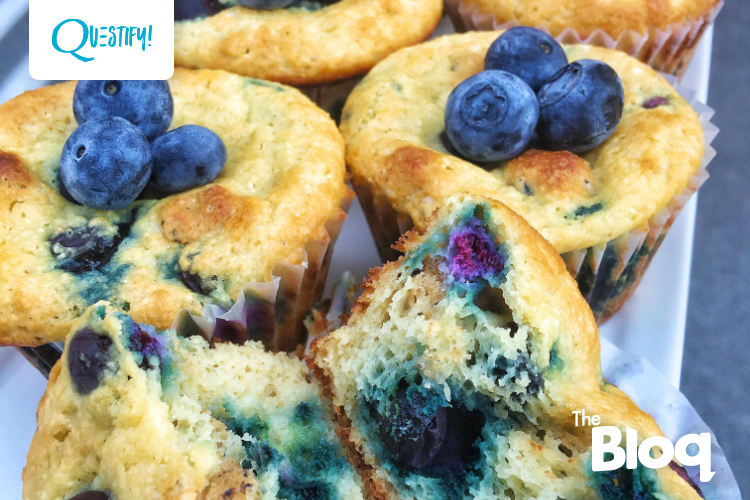 IT’S TRANSFORMED INTO A DELICIOUS, PROTEIN-PACKED BLUEBERRY MUFFIN! Line a muffin pan with ten foil liners. In a mixing bowl, combine egg whites, almond milk, applesauce, sweetener, vanilla extract, and almond extract. Mix well. 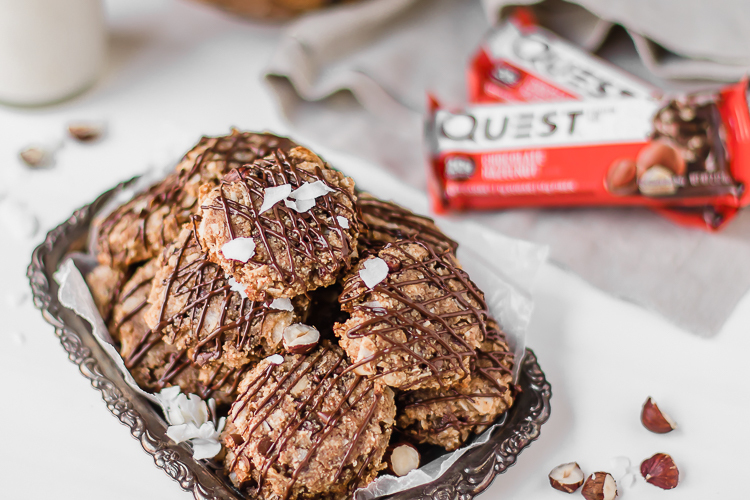 In another small bowl, combine Quest Protein Powder®, coconut flour, and almond flour. Mix well. Add dry mixture to wet. Then add coconut oil, baking powder, baking soda, and salt. Fold in a 1⁄ 2 cup of blueberries. Fill muffin cups 3⁄ 4 full. 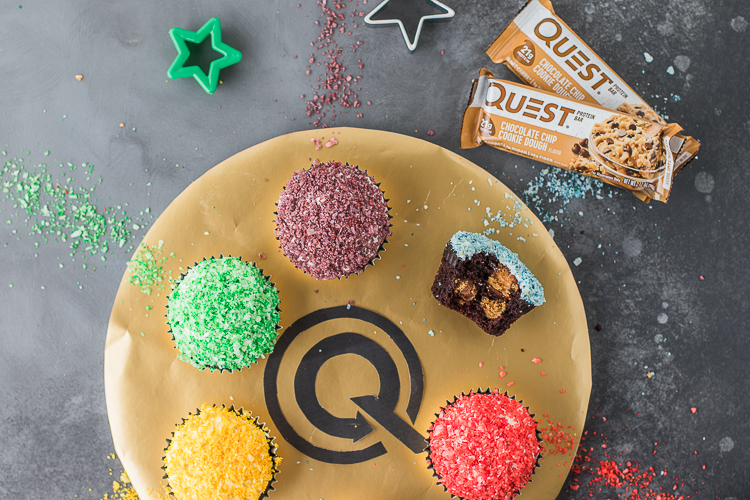 Add Quest Bar® pieces evenly among each muffin and press into batter. Add remaining blueberries to the top of each muffin. Bake for 22 to 25 minutes, or until an inserted toothpick comes out clean. Written by: Levi Harris on September 8, 2016.on September 15, 2016. Made these today! They turned out fantastic! Only modifications I made is I turned them into 12 muffins and cooked for 20min’s. Thanks Quest! You’re very welcome! 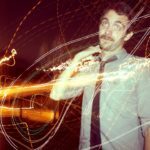 Thanks for sharing and enjoy! Wow I must make this!! Well done.